Oakville Care Centre keep a selection of Bath Steps and Bath Rails in stock to help the user, especially the elderly feel more confident and secure when they enter and exit from the bath. 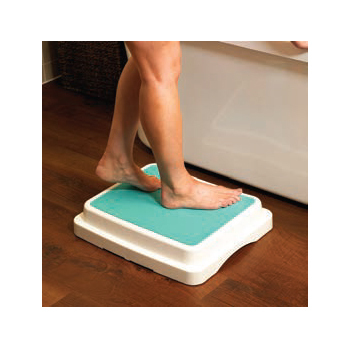 Designed to make daily activities, especially getting in and out of the bath, easier. Supplied as a single 4" step, additional steps can be added for extra height. Each additional step adds 2" in height. 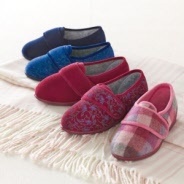 A foam pad is supplied, improving both warmth and comfort under foot. Maximum user weight 190kg (30 st). This strong, lightweight step has a large textured area and central lifting hole. The step rests on non-slip pads for safety and is reversible to provide either a 4" or 6" step. Length 530mm (20 3/4"). Width 350mm (13 3/4"). Max. user weight: 30st / 190kg. 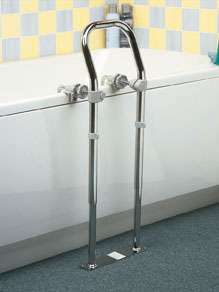 This popular rail provides a firm handle just above the side of the bath, to assist with getting in and out. The handle is angled inwards to be directly over the bath rim. Available in chrome and adjustable in height using a pin clip system. The clamping arms can be adjusted in height and opening width. 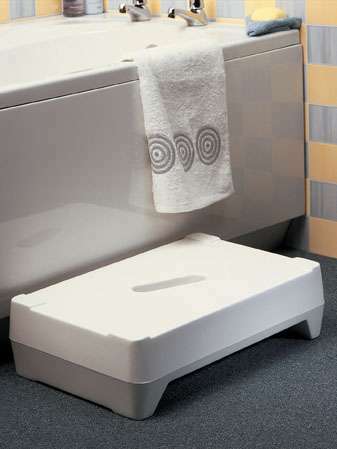 The bath rim is protected on both sides by non-slip rubber pads. The base plate of the rail must be screwed to the floor. Height of handle 547 - 747mm (21 1/2 - 29 1/2"). Height of rim 350 - 590mm (13 3/4 - 23 1/4"). Base plate 25 x 265mm (2 x 10 1/2"). Weight 2.62kg. Max. user weight: 23 1/2st / 150kg. 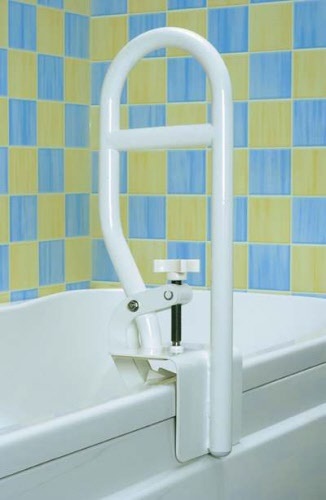 Providing a firm handle at the bath side, this rail helps give confidence and stability when getting in and out of the bath. The coated steel rail is fixed to the side of the bath by a stainless steel clamp, cushioned on the inside by rubber pads. Height above bath side 349mm (13 3/4˝). 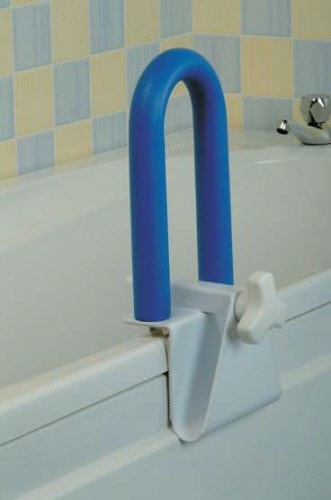 These grab bars provide additional support when getting in and out of the bath or shower. 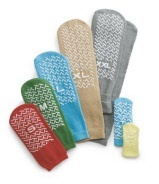 Easy to fit and remove from the bath, the padding gives extra grip and comfort to sensitive hands. Clamp width adjustment 57 to 140mm (2 1/2 to 5 1/2˝). This cost effective range of plastic grab rails is made from white PVC tubes with moulded end fittings. They have circular fixing plates which have a covering disc supplied that clips into place, hiding the screw heads. The tubes are fluted along their length to provide better grip for wet hands. Diameter of tubes 38mm (1 1/2˝). Distance from wall 50mm (2 1/3˝). Distance from wall 50mm (2 1/3˝). Disc diameter 91mm (3 3/5˝). 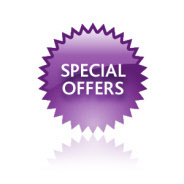 Oakville Care Centre's current special offers - don't miss out! For Keysafe Fitting, Hand Rail Installation, Gardening and much more! A selection of bath seats and Bath boards for those who find it difficult using a standard bath.